The Peconic Estuary Program, Seatuck Environmental Association & Long Island Sound Study is offering volunteer Training to help document the annual runs of river herring. Remnant populations exist, but there is little known about their overall status across Long Island. Documenting existing runs is an important step in the restoration effort and they need your help! Additional trainings occur March 1st, 5th, 6th, 7th and 14th at various locations. Join the HAH round table discussion to learn more about Long Island Native plants. 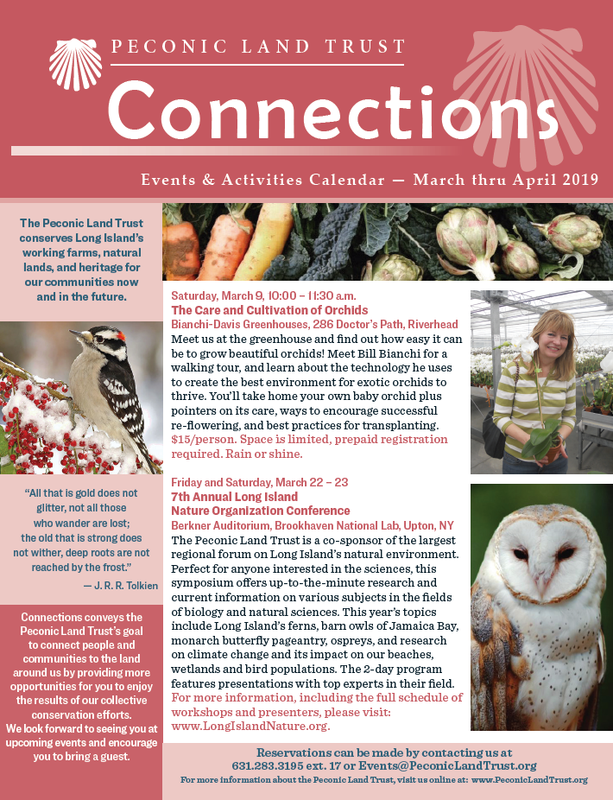 Rick Bogusch, Manager of Peconic Land Trust’s Bridge Gardens, will participate in this round table discussion and share information on the benefits of incorporating plants native to Long Island and greater New York into your garden. Join Amagansett Food Institute and Chef Robert Curreri (formerly of Bobby Flay’s Bolo Restaurant in NYC) for a dinner experience unlike any other. Come prepared to earn your chops and cook your way through a Chef’s tasting menu with curated local ingredients. This class will cover fundamental kitchen skills for the food entrepreneur and home chef. This popular series presented by the Parrish is always Sold Out — but the in-person wait list starts at 5:00 pm the evening of . . .
co-sponsor of the largest regional forum on Long Island’s natural environment. This symposium offers up-to-the-minute research and current information on various subjects in the fields of biology and natural sciences. A few of the topics this year include barn owls of Jamaica Bay, ospreys, climate change and much more. 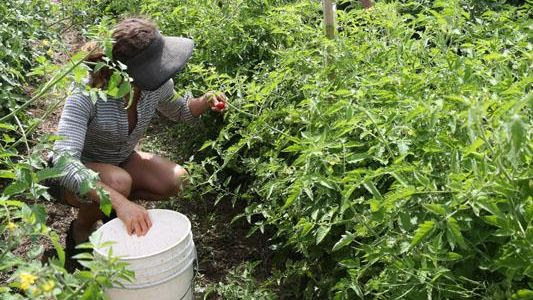 Join us and help the farm get a head start on this year’s crops. You’ll work side by side with Farm Manager Layton Guenther to plant a variety of seeds in the trays destined for the greenhouse, and learn about the importance of making and using compost. Return onMay 18th to transplant the seedlings into the fields. Free! Rain or shine. Please park on Deep Lane, reached via Town Lane or Side Hill Lane, and meet Layton at the farm’s greenhouse. and socialize with new friends. Laura Donnelly, a local pastry chef and writer for the East Hampton Star. Live Stream of each Lecture. Lectures live stream on March 17th, March 31st, April 7th and April 28th. 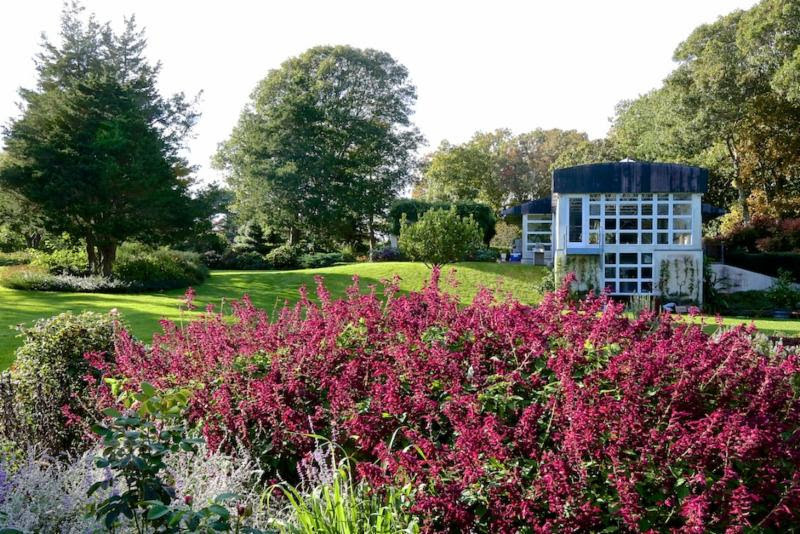 Explore this tranquil 5-acre garden and experience seasonal changes. Our Members Enjoy Special Benefits! Join Quail Hill Farm Today! The summer season starts in early June. Members pick from the fields twice a week a wide selection of vegetables, herbs, fruit and flowers. Individual, family and box shares are available. Visit our online calendar to learn more about our programs! Get a Jump on April! Your donations make Connections possible! Call us at 631.283.3195 or visit us online to make a gift today.